Here are some pics of our guys with their new loves! Such adorable little puppies for Igna and Gian, Arturo & Luna! Piero certainly looks like he has been bitten by the lovebug with his own valentine, Valentina! Sending Flight Crew Love to all – far and wide! We hope you are able to share your love this day with special friends, family, and loved ones. Thank you and credit to all owners of pictures! Happy Valentine’s Day to you and our guys and our crew! Thank you for,all you write, share and do! I read everything and share with some fans around the world this way by email! Greetings from Canada Laney Justus! Hi Joyce–I’m in Canada too–in Toronto. Where are you? ADORABLE photos! I love Arturo’s little sweater. And that must be the absolutely best photo of Piero and Valentina! Magnificent! Thanks so much, Jana! Love and delight to all! Happy Valentine’s Day to all the Flight Crew Ladies out there. The love you guys have for Gianluca, Piero and Ignazio is Strong, True and just a Beautiful thing. . Love is a two way street and I’m sure all that love is sent back to all the fans, it shows in their Concerts and in their dedication and caring for special needs children. 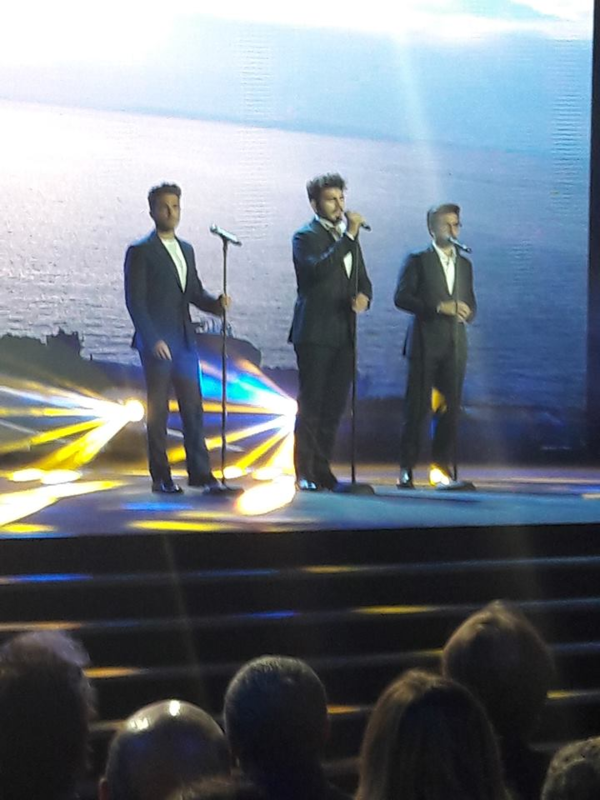 The IL Volo team are great singers and wonderful young men. Love those puppies! Best wishes for a wonderful Valentine’s Day to Piero, Ignazio and Gianluca and all the members who keep the Flight Crew site up and running. Thanks for keeping us up to date on the adventures of Il Volo. Well, the guys of Il Volo aren’t my “new” loves, but are definately my loves! So are all of you. So glad to see hear from you. Miss your humor and comments. Hi Marie–great to “see” you! Been thinking about you a lot, Marie. Great to see you here! Hello to you Marie! I know that the Flightcrw misses you! I hope all is well❤️!! Happy Valentines Day to everyone. I loved this post and loved the dogs. Gianluca’s dog looks just like our little Phoebe – even in color. These were some sweet pictures. I can hardly wait for their cd and crossing fingers for some event in the USA. It could happen. GOOD S. VALENTINO TO ALL !! Thanks for the nice words Jana. These were turbulent days, but the situation here in Italy, relating to IL VOLO and the press, has not yet subsided. Marie, how nice to see your presence! Enjoy the CD signing, looking forward to hearing all about it. Thanks for all you do for us, Daniela, you are a true blessing. and I am looking forward to their tour. Give them all our love and support—strength during these turbulent times with the press. We have their backs! Please mention that I will be lighting candles for them in all the churches and cathedrals I pass on my 900 kilometers walk on the Camino de Santiago pilgrimage March-May. I leave in 3 weeks. Thanks!!!! How beautiful, Crystaldawn, I admire you! Happy for you, Daniela! Would love to be joining you there. Here’s hoping for Portland, Oregon on the concert list for the US tour! So very nice to hear from you. Thank you Daniela, for keeping us up-to-date on the goings on about San Remo. Piero, Ignazio and Gianluca, we are 100% behind you! Good to hear from you, Allene. Happy Valentines Day to all. Good to see you here Marie. We have missed you. Valentina has a dog, so Piero has one indirectly, and he is allergic I understand. Daniela of course you will take a photo and post it here! You will be our representative to the boys, ok? I’m glad Sanremo is over, the boys are being talked about all over the Italian talk shows but I don’t speak Italian so I don’t know if it’s good or bad. Anyone else know, Daniela? I like your request for a photo from Daniela, Rose Marie! Good to hear from you and think back to IL VOLO in Las Vegas. RoseMarie, I will certainly do the photo, I will post it and I will report to them all your affection. All television programs speak of IL VOLO, of course, all despise the attitude of the press room and defend IL VOLO. Happy Valentines Day to everyone with the flight crew. Love from Ashland Oregon. Jeanine sends her love from Portland, Oregon area! Love this beautiful state and walk-dancing to IL VOLO out in nature! Yay Jeanine. Yes love Oregon. 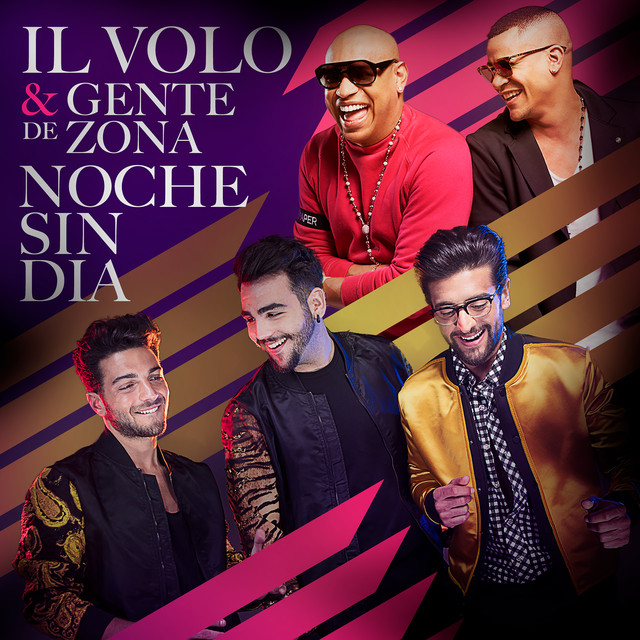 If IL VOLO has a concert in Portland I will definitely be there. I leave March 10 for my daughters in McMinnville and then on March 14 I fly from Portland to Paris to begin my Camino de Santiago pilgrimage walk (500 miles / 900 kilometers). I hope to see the guys in concert in Matera as I will be visiting Italy after my pilgrimage.